The Aerospace industry are increasingly adopting a wide range of 3D Printing technologies for not only the production of jigs/fixtures and tooling but also for functional aircraft components. 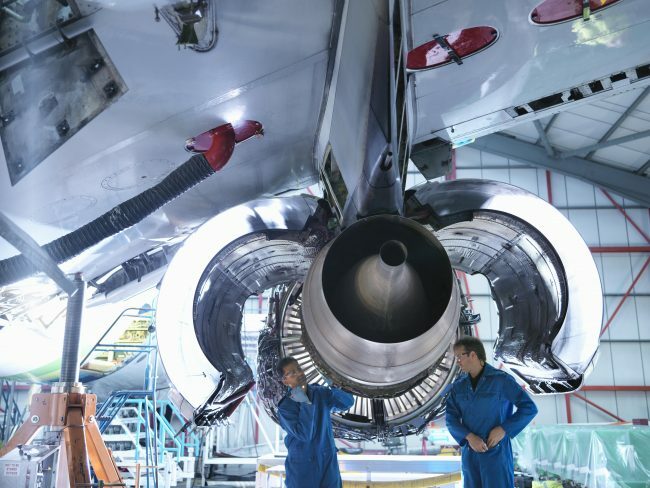 As technology develops and matures Aerospace manufacturers will increasingly begin adapting the design of their components to take advantage of Additive Manufacturing methods. 3D Printing replaces expensive CNC milled parts with manufactured plastic parts and dramatically reduces production cost as well as improving performance. 3D Printing for the Aerospace industry allows designers to enjoy freedom to produce complex geometries that are simply not possible with other manufacturing processes. How can I find out more about Aerospace 3D Printing? If you’d like to find out more about how 3D Printing is helping the Aerospace industry, or to discuss with our team the different materials suited to the Aerospace industry- just get in touch.